Professionals need to broadcast and watch live, for internal and external communication, security or the news. With Plussh, everybody can easily live stream in full HD, from a mobile. You have your own secured private TV. More, Plussh allows you to keep your value, embed your live streams on your website, monetize, privatize. Choose to share (or not) simultaneously your lives on Facebook, Twitter or LinkedIn. 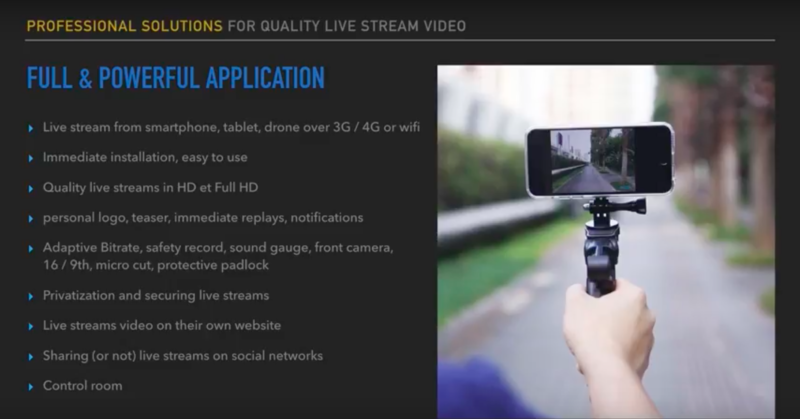 In order to live stream you can use our dedicated app PLUSSH PRO but we can build for you a tailored live stream video app or integrate in your application our SDK. For our customers, three things matter most of all: simplicity, quality, property.